Bollinger Bands are technical indicators developed by John Bollinger and widely used by stock traders today. The indicator consists of a middle band with two outer bands, as you can see in today’s chart. The middle band is a 20-day simple moving average, and the outer bands are two standard deviations above and below the middle band. Standard deviation is the typical measurement of volatility in a stock’s price. Have you ever looked at a stock and wondered if the price is cheap or expensive? Bollinger Bands help answer this question by providing a dynamic definition of high and low in the stock price. In the chart above, the stock price is touching the middle band, so the price would not be considered too high or too low, relative to its recent price action. If the price is close to or outside of the upper band, the price would be considered high. Conversely, if the price is near the lower band, it would be relatively cheap. Investors also use Bollinger Bands to help determine buy and sell signals on a stock. Anytime the stock price touches the lower band, the stock is usually oversold and therefore is in buy mode. Investors view a touch of the stock price to the upper band as a sell signal. You can see several “touches” to the upper and lower bands in the chart above. Also notice a few times when the price breaks through the upper or lower band. A breakthrough of the Bollinger Bands is always a noteworthy event for investors because the price is breaking a recent trend. 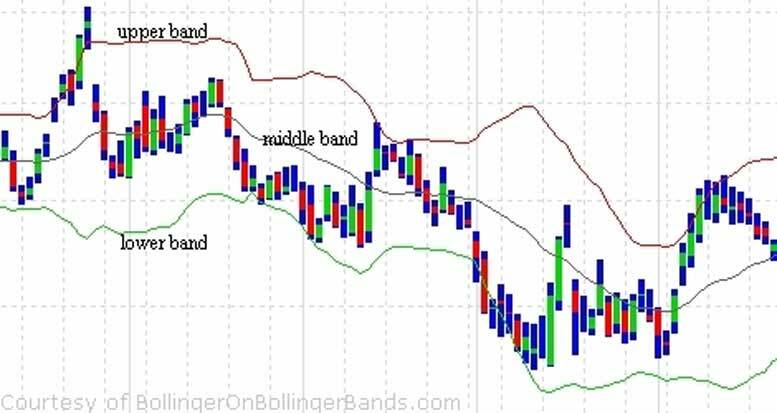 One of the best websites to learn more about Bollinger Bands is here. Our Profit Trakker trend trading system can also add Bollinger Bands to any chart so that you can monitor new buy and sell signals in addition to our own proprietary signals. Do you want to be alerted when we buy a stock, ETF, cryptocurrency, or option?